(Pip, Ollie, Jackson, Penny, Coco, Cosmo, Malish, Charlie, Maxie, Buddha, Ziggy, Julia, Louie, Capone, Nola, Zoey and Ralph) gather for a walk and bring their owners along. This has been going on for nearly twenty years. 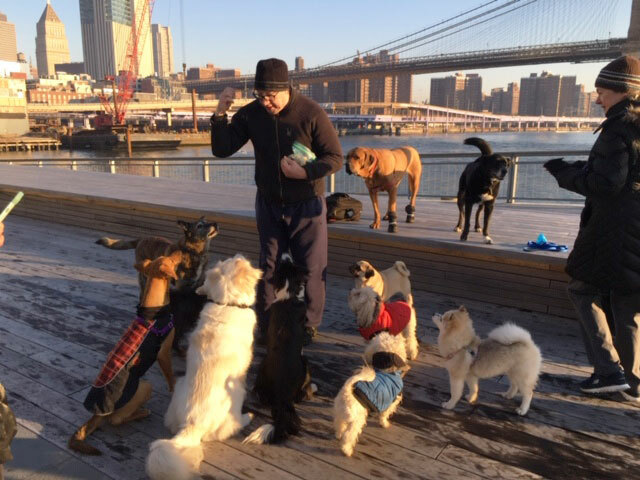 Michael Devereaux, long time downtown resident, seen here giving out treats on the pier to an attentive group of canines, sent along some photos from last week’s morning trek. Coco prefers to be chauffeured. On this morning, Dan Dence, a good friend, did the pushing. 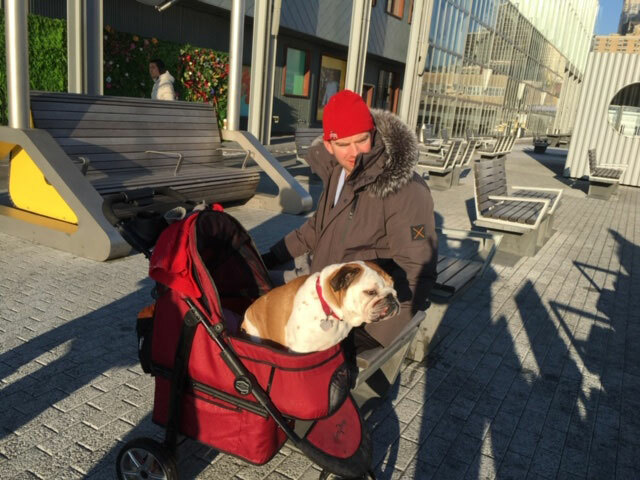 Mr. Devereaux said that weekday walks begin around sunrise on Piers 15, 16 or 17 depending on weather. 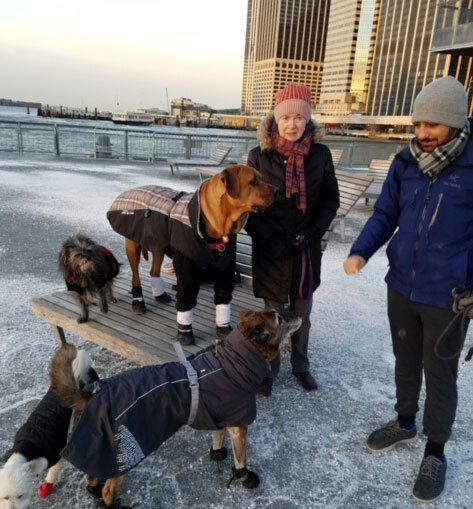 Often the group will set out for Battery Park and make it all the way to the esplanade in Battery Park City and sometimes even up to Stuyvesant High School on Chambers Street before the dogs get hungry and their people need to get back home and then off to work. Looks like fun. I’d join in but seeing as how I hate winter & have parrots who don’t need to be walked, tho they CAN be, I guess I wouldn’t qualify. But you guys…enjoy!